Seattle Seahawks tickets and travel packages are now on sale with PRIMESPORT, the Official Hospitality & Fan Travel Partner of the Seattle Seahawks. Take your Seahawks pride to the next level during the 2019 season with an Official Seahawks Fan Package from PRIMESPORT. 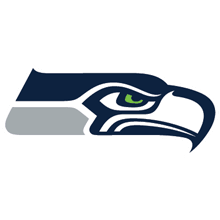 Get the latest Seattle Seahawks offers! PRIMESPORT has teamed up with the Seahawks to offer fans the opportunity to buy Seattle Seahawks tickets that include admission to the official pregame hospitality experience at Club PRIMESPORT. These Official Seahakws ticket packages are on sale for all home games on the 2019 Seahawks schedule, and provide fans a one-stop-shop for all of their gameday needs. Opening two hours before kickoff, this premium tailgate event for Seahawks supporters at CenturyLink Field includes food, beverages, games, guest appearances, and more. If you've already purchased your Seahawks tickets and are looking for a special way to start your pregame activities, you won't want to miss adding this exclusive party to your pregame schedule. Another feature for the 2019 season, these Seattle Seahawks packages offer out of town fans a two night hotel stay and souvenir to go along with your Seahawks tickets and access to the Official Pregame Tailgate. PRIMESPORT is Official Hospitality & Fan Travel Partner of the Seattle Seahawks. The terms NFL® and Super Bowl® are trademarks of the National Football League. PRIMESPORT is a division of On Location Experiences.